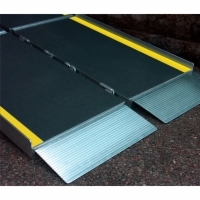 Our Advantage Series trifold ramps are the perfect companion for traveling users of wheelchairs and scooters. 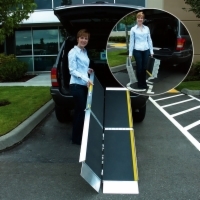 Use an Advantage trifold ramp to get in and out of a van or SUV, safely traverse steps, or cross raised landings and thresholds while you're on the go. 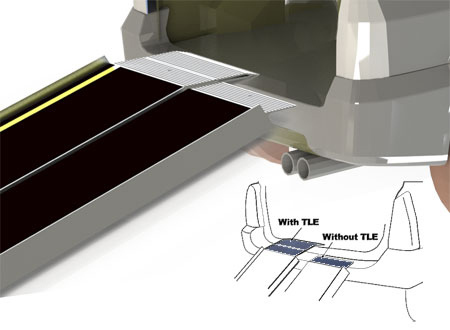 Trifold ramps are designed to fold lengthwise and in half, taking up just 25% of their total area when unfolded. 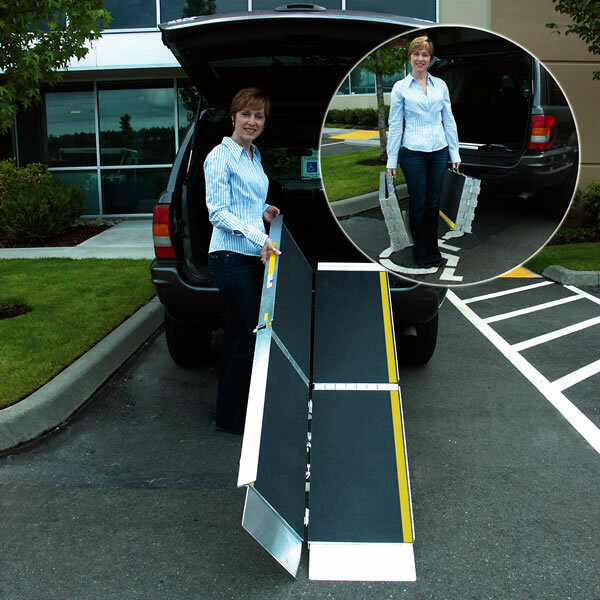 These premium trifold ramps feature 800-pound weight capacities and are equipped with bottom transition plates to make getting on and off easy as pie! Carrying handles for portability and anti-slip coating for safety round out the package. Call today to order your Advantage trifold ramp!